Activities which will establish the foundation of knowledge and experience to help you keep bees. 1.) 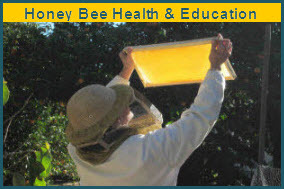 Education -- take courses through your local beekeeping association in order to assess your interest and willingness to make the time and financial commitment. 2.) Education (cont.) -- read, consult, and watch. Read books, academic, and popular literature related to bees, talk to other beekeepers, and watch documentaries and youtube videos. You should have an almost encyclopedic knowledge of diseases, lifecycles, social orders, problems, population management, equipment, and a system for handling the volume of information you'll be acquiring. You will also need to spend some time getting to know local industries and businesses, too. The florist down the street might not mind your bees, and you may not mind the pollen or nectar from the flowers, but you might have trouble with the maraschino cherry factory across the river. 5.) Education (others) -- Introduce the topic casually in order to assess the reception. Invest the time in educating your neighbors and friends about bees. Talk about bees, share honey, plant a pollinator garden, and teach your neighbors and friends how to predict the movement of bees and wasps and how to move and act around species of Hymenoptera. Show your neighbors and local pollinators your commitment. If they are antithetic to living near bees you may need to continue to lease space or hives or determine what your rights are and continue despite your neighbors' objections. If you don't even dare broach the topic with your neighborhood, spend time getting to know the property and (this sounds creepy) your neighbors' ability to view your property. If you can site your bees where they will be unobserved, that is your best option. A section of fence, tall shrubbery, or another structure can shield your activity and the bees activity. Most people are unaware of the difference between a honeybee and other flying insects, but they'll catch on to you trotting outside in your bee suit. Activities which will demonstrate your commitment, compliance, and concern. 2.) 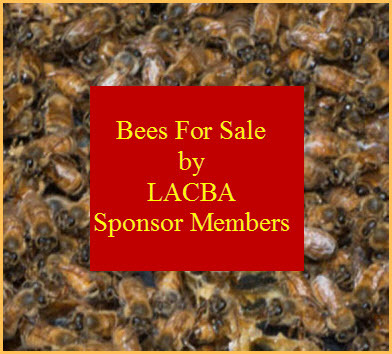 Packet or Swarm -- Purchase a packet of bees or register your name on a swarm list (through your local beekeeping association) or keep everyone in the area aware that you're interested in catching a swarm. 3.) Register -- operate in compliance with local laws and/or regulations. You will be fond of your bees, I would imagine that having god-knows-what-state-agency removing your bees from your premises for non-compliance would be wrenching. 4.) Install -- prior to installing your bees, site your bees according to their needs. Have a clear flight path, nearby source of water (they will visit children's pools, my toddler learned to carefully pull honeybees out of her hair when she was a year old. However, if your reluctant neighbors have a pool, birdbath, or hummingbird feeder, anticipate problems and be prepared to work out a solution), and a windbreak. If your neighbors are opposed, but unable to do much more than complain, screen your hives and site them further from the angry neighbors. 5.) Monitor -- checking your bees is a science, you have to be methodical, relaxed, and unrushed. There are plenty of sources which discuss methods, and hopefully if you've shadowed an experienced keeper for a year, you'll have experience. You can test your observation skills before you have access to bees by watching a hivecam or looking at high-res photos of working comb. You're looking for brood, brood pattern, honey, capped honey, infestations, and general health of all hive members. Record your information. Personal note: It's not worth keeping bees on your property/rooftop if you'll be stressed about the neighbors, it's just as fun and interesting to visit and work your bees at another location where they are received more warmly. I began "studying" to keep bees about six years before I worked my first hive. I rented a small house in the city, and I considered a lot of issues when I lived there. Ultimately, I purchased property outside of the city limits in order to keep bees and a few other animals. I still manage a pollinator garden in a dense urban area, but my current neighbors (in an area of just under a thousand people per square mile, which is technically urban) are receptive of my bees. "Lousy drunks, your bees are!" was the last comment that I heard when my bees depleted my neighbors' hummingbird feeder.